Dog Bite Insurance is essential if you own a dog or other animal. Dog Bite Insurance pays claims against you because you own the dog or animal that injures another person. Krupp Law Offices can answer your dog bite insurance questions. We have over 85 years of legal experience. If you or a love one has been attacked by a dog it is important to contact a dog bite attorney as soon as possible. HOW DO I GET DOG BITE INSURANCE? Dog Bite insurance is available as a separate policy. Merely contact an insurance agent and request a dog bite policy. They can provide you with the information. 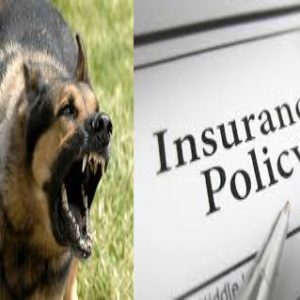 Dog Bite Insurance is also available as an add on to a renter’s insurance policy. Lastly, home owner’s insurance policies also pays for dog bite claims. All three options are available to you to pay dog bite claims. HOW DO I MAKE A CLAIM ON SOMEONES DOG BITE INSURANCE? Our office will initially send a demand letter to the owner of the animal requesting their renter or home owner insurance policy information. After we obtain the information, we contact the insurance company about the claim and provide them with all the information to assess the claim. The information includes facts about the dog attack, police report, dog bite report, copies of medical bills, information on lost wages, cost of current or future plastic surgery, and other relevant information. We also prepare a demand letter stating what compensation is requested for your injuries. Typically a settlement is reached with the insurance company and the pay the claim. If you are attacked by a dog, you should immediately contact the police and animal control to document the attack and obtain the name and contact information of the owner of the dog. After reporting the dog attack, you should seek medical treatment at an urgent care facility. Take pictures as soon as possible. Continue to takes pictures as your injury heals. Keep all of your medical records and bills. Michigan has strict liability for dog attacks. The only defense is provocation of the dog. The owner’s liability typically does not go beyond the insurance limits. If the owner of the dog is a relative or a friend, you can limit the claim to the insurance policy only so that they will have no out of pocket expenses. HOW EXPENSIVVE IS DOG BITE INSURANCE? Dog Bite Insurance is available at a very reasonable cost. Typically is a slightly higher premium on a renter or homeowner policy. WHAT DAMAGES DOES DOG BITE INSURANCE COVER?